PARTY TIME: Last Friday night was crazy in Soroti Town as revellers gathered for the first ever street jam. There was lots of entertainment from Teso artistes and the major headliners, Radio & Weasel did not disappoint. SIMON PETER EMWAMU was there. Soroti Town was lit last Friday when party lovers got to the streets to burn the week’s. Imagine the crowds when they heard Radio & Weasel would be part of the entertainers, alongside Teso’s finest artistes. As early as 7pm, the famous Solot Avenue known for its nightlife left no room to squeeze through as revellers gathered for the very first street bash in the town. The largest part of the crowd was probably holiday makers, some of whom had reserved tables at Shs100,000 while others perched on the balcony tops of Bisina Hunter’s Pub and Kicwala Lodge and Pub. By 9pm the revellers started getting impatient and demanded the whereabouts of Radio & Weasel. At about 9.30pm, Yona Chanlee, one of the young promising Teso artistes took to the stage amid ululation. Real name Yona Ocen, the journalist-turned musician fired up the crowd. The singer, on stage with his two dancers, pelted fans with hit after hit in a frantic move to cement his name on the stage. He only bowed out 40 minutes later to allow MC Caro step onto the stage. The female MC kept the mood lit up as she choreographed through her albums, at times letting her fans mime her songs as she danced solo to the excitement of the crowd. By this time, no one was thinking of the Goodlyf because when it clocked midnight, Roga Roga DJs, clad in white jeans and black T-shirts, stepped on stage. The party was still young but sadly the mood was beginning to die out when revellers learnt that all the bars on Solot Avenue had run out of liquor. Roga Roga DJs however kept the crowd alive, performing a chain of hits from their first album to the most recent. 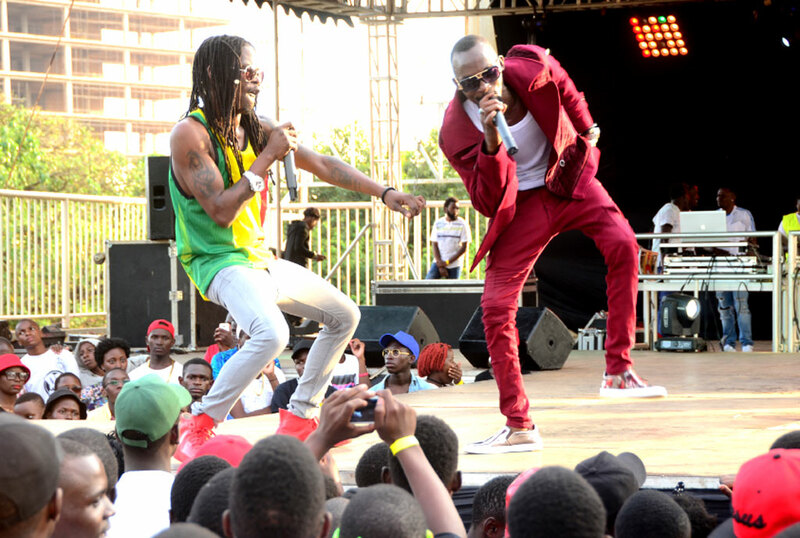 On spotting Radio & Weasel on stage, the crowd went wild. The artistes were in time to close the show with songs such as Mwana Wabandi, Burning Fire, Tabula Edagala, Ntwalako, among others. The revellers sang along and at 2am when they left the stage, the crowd was left wanting more. For the organisers, the Teso artistes and Goodlfye crew, the bash met more than their expectations. It was a great night!